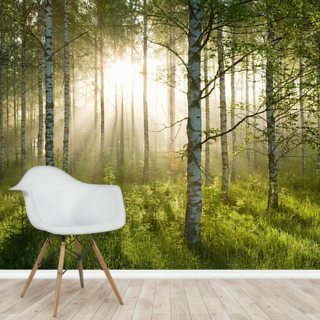 Many of our best-selling wallpaper designs can be found within this section. 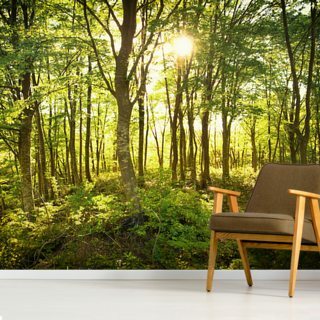 From all of our collections, here are our best selling and most popular wallpaper murals, from Forests and Landscapes to Cityscapes and Maps. 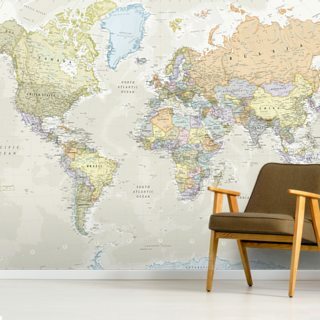 Browse the best selling products that adorn many a wall across the world. 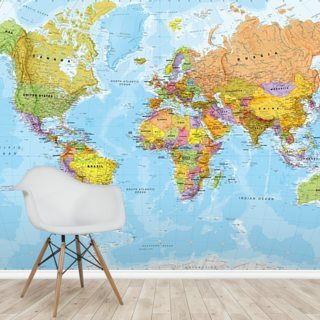 If you still don't see the perfect wallpaper mural for you, why not try our site search or browse through our categories at your leisure. All of our most popular wall murals can be used in every room of your house, but especially living rooms and bedrooms. And, they can be used for feature walls for your business or office. 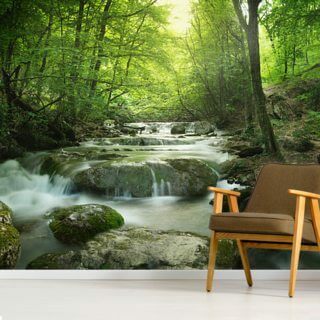 Our popular wallpapers include world map wallpapers, woodland scene wallpaper murals, waterfall and river photographic wallpaper, beach scenes, and so much more. It’s not hard to see why these wallpaper options are amongst some of our most popular, they can be used in a variety of different ways in your decor, and suit many different tastes and styles. City skylines are also a popular wallpaper choice, with cities included such as New York and Shanghai. Or, many of our customers chose stylish and trendy marble wallpaper, which can be used to create minimalistic interior design masterpieces. Many people also enjoy our range of abstract wallpapers, with many choosing to go down the more colourful and bold route. 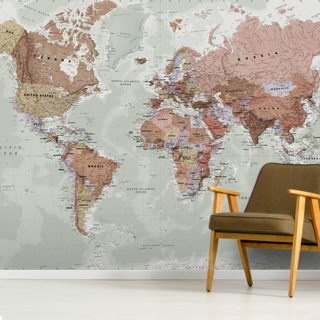 There are many different ways that you can style our best-selling wallpapers, from bold and bright accessories to pared-back decor pieces, and everything in between. Let your personality shine through your interior design choices, and let your own style show. Order online with us, and we’ll make you a wallpaper that is made to measure for your chosen wall, alcove, or another area in your house. All you need to do is input your wall measurement details into our online form, and we’ll send a quality wallpaper that is ideally cut into easy to use wallpaper panels, so you don’t have to spend hours with a roller and wallpaper paste.